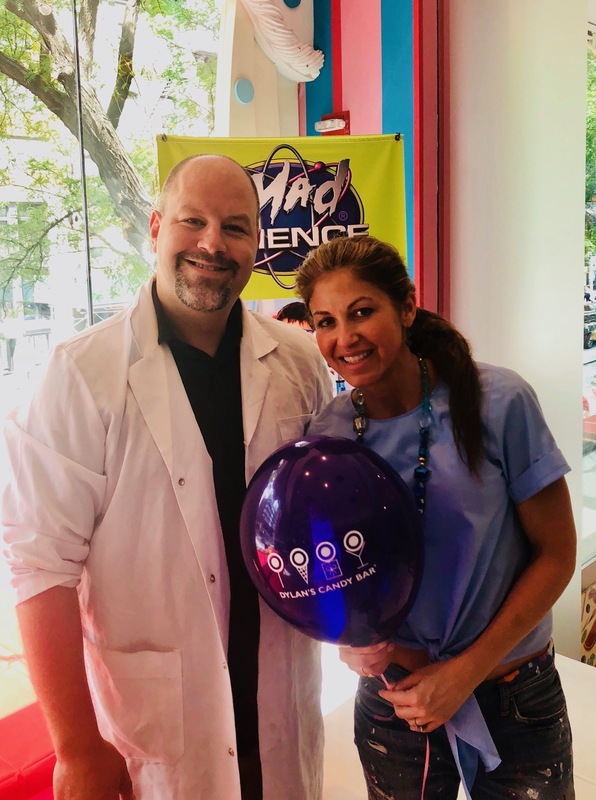 Mad Science At Dylan's Candy Bar! Scientific Fun At The World's Largest Candy Store! 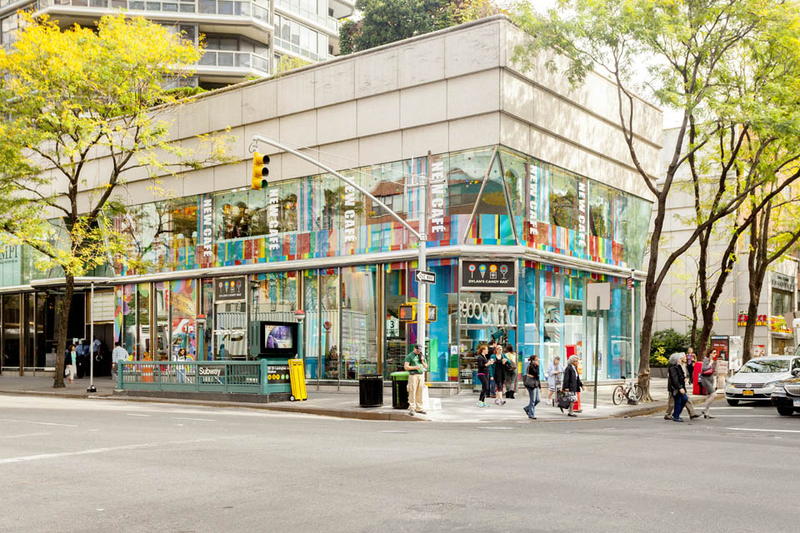 Mad Science is proud to partner with the flagship location of Dylan's Candy Bar in Manhattan! What better place to host your Mad Science birthday party than the largest candy store in the world? Located at 1011 Third Avenue (at E. 60th Street), Dylan's Candy Bar transports its guests to a modern day version of Willy Wonka's factory the moment they enter. Its pop-art installations such as the iconic oversized lollipop tree, candy cane columns, dripping chocolate shelves, kaleidoscopic candy wallpaper and candy-embedded staircases embody the pinnacle of "retail-tainment". The ultra-sensory experience is enhanced with delectable smells, a candy timeline and a vast milieu of candy songs and commercials, giving its customers not just a sugar high but a sweet lasting euphoria. 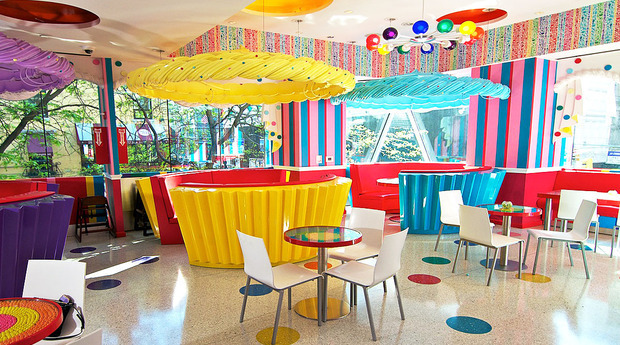 Dylan's Candy Bar boasts a 2nd floor party room that is sure to delight any birthday boy or girl, featuring gumball tables, peppermint stools and lollipop chandeliers. A perfect setting for sweet scientific fun!